Distinguished Professor Vicki Hanson is retiring from RIT to become the first female CEO of the Association for Computing Machinery (ACM). 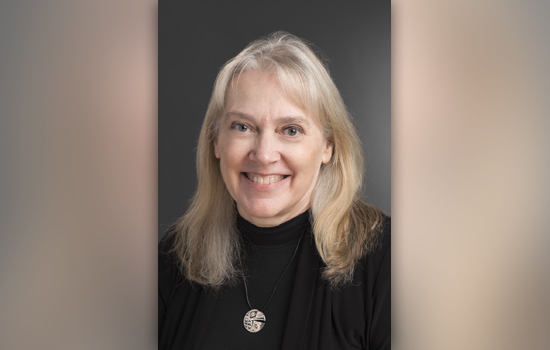 Vicki Hanson is retiring from her position as Distinguished Professor at Rochester Institute of Technology to become executive director and CEO of the Association for Computing Machinery (ACM), the world’s largest education and scientific computing society. Hanson, who has served as ACM President since 2016, will take on her new role July 1. As the first female CEO for ACM, Hanson will work with the volunteer community to provide strategic vision and to develop sustainable business models to ensure ACM’s continued worldwide membership, publications and revenue growth. She will represent more than 100,000 ACM members worldwide, including many in the RIT community. Hanson has a long history of service to the computing community, having served ACM as president (2016–2018), vice president (2014–2016), ACM secretary/treasurer (2012–2014), and ACM SIG Governing Board chair (2010–2012), among other positions. At RIT, Hanson designed and taught courses in human-computer interaction. Along with Matt Huenerfauth, associate professor of information sciences and technologies, and Stephanie Ludi, former professor of software engineering, Hanson created the Golisano College Center for Accessibility and Inclusion Research (CAIR). The center brings together researchers working on computer accessibility and assistive technology for people with disabilities, technology for older adults and educational technologies. Hanson is receiving the title Distinguished Professor Emerita, honoring retired full-time faculty members who have demonstrated notable contributions during their professional career at RIT. To read more about Hanson’s new position at ACM, go to acm.org/media-center/2018/june/acm-names-new-ceo.